Brother and sister monsters fall out and make up in spectacular style in this warm, witty story from the creator of The Girl with the Parrot on Her Head. From the remarkable new talent behind The Girl With the Parrot on Her Head comes a story about two monster siblings, Natalie and Alphonse. Natalie mostly loves her little brother Alphonse being there - they name the pigeons, bounce things off the bunk beds, have stories in the chair and make lots of fun stuff together. 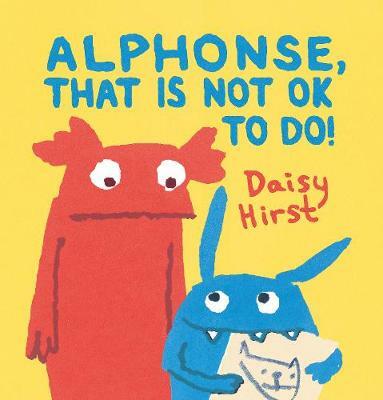 But, when Natalie catches Alphonse eating her most favourite book, well ... that is not OK! Daisy's expressive, bold illustration and unique picture book voice will enchant and charm all readers in this truly original new title.